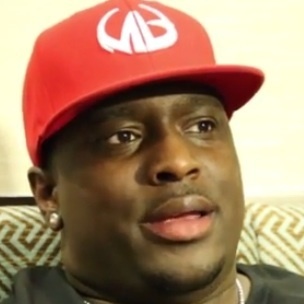 Turk, who was a member of the group Hot Boy$ with Lil Wayne, says Weezy’s kiss with Cash Money CEO Bryan “Baby” Williams was blown out of proportion. “They caught them in a moment where the fans and the media and all of it, they made it all an issue that it wasn’t,” Turk says during an interview with VladTV. The Louisiana rapper also says that Baby, also known as Birdman, was a father figure to the Hot Boy$, the group that also featured Juvenile and B.G. “We was all like Baby’s kids at one time,” he says. Turk also compares the group to the mob and says that nobody questions it when mobsters kiss each other. Turk goes on to say that all of Cash Money, other than Juvenile, kissed Baby. Shortly after the picture of Baby and Lil Wayne kissing was published in 2006, Baby reiterated his role as a father figure to the Hot Boy$. Three years later, Baby said in 2009 that he would “do it again,” referring to kissing Lil Wayne. A photo of Lil Wayne and Baby kissing is as follows, as is Turk’s interview with DJ Vlad.